By assigning roles, you can assign individual rights to the user. To create a new role, select the menu item “Roles” in the navigation bar and go to the “Create new role” button. It opens a new window by selecting the individual permissions. By default, the administrator role is predefined. This can be renamed and adapted as desired. Define a name for the new role and select the appropriate authorizations. The pen or trash can icon allows you to change or delete roles. 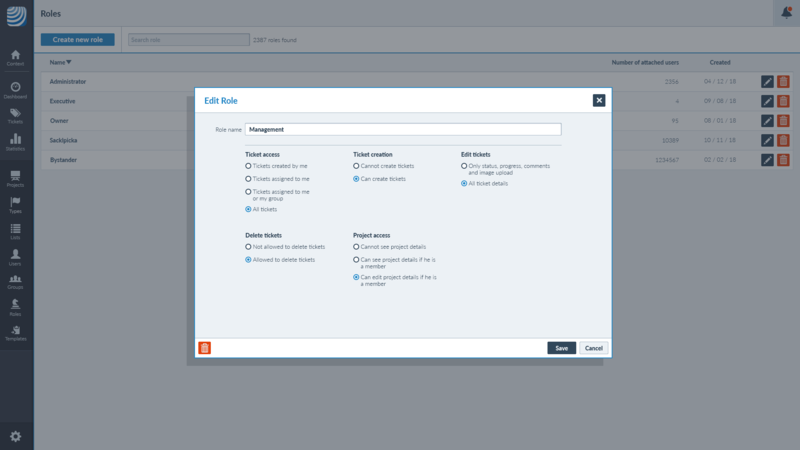 You can also access the “Roles”-view via the navigation bar and select the project you want to change. Make the changes you want to make in the following mask and then click “Save”.